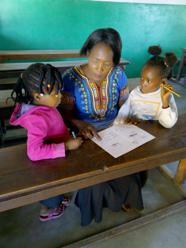 Susan doing extra lessons with our Grade One students from Twabo School. This is holiday time for them, and they are spending time with the tutors at Living Compassion doing English lessons. 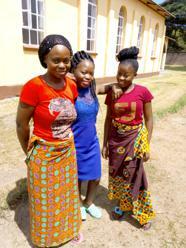 Our college girls in Luanshya pose for a photo when Theresa visited them at their boarding house. 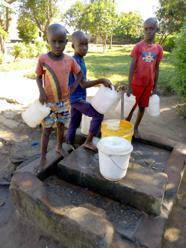 Lackson and his friends fetching clean water from the Living Compassion tap for their home use. 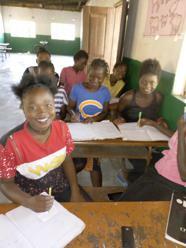 Some of our girls in the program sit in Charles's pod as he teaches them math. Charles and Veronica teach math because they are good at it, while the rest of the tutors teach English. Beatrice, Malila, and Charles working on a lesson plan. The tutors prepare in advance for the next day's work, working together and sharing ideas. Theresa poses for a photograph with some of our little students from Twabo Private School. 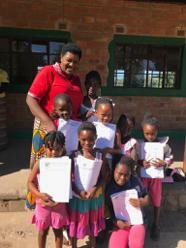 The girls are so impressive in their academic work at their new school, and we are so proud. 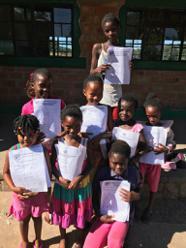 The students show off their results after writing their first test at their new school. They did so well! Schools have closed for the first term, and our students are doing extra lessons here with our Living Compassion tutors. 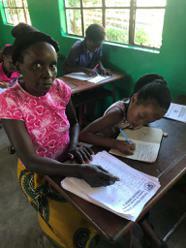 Here Ann in class with a Grade Five student from Twabo School. 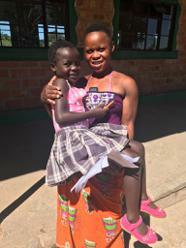 Natasha is very proud of her daughter, who came out first in the Grade One class at Twabo School. Edna Phiri is just amazing! 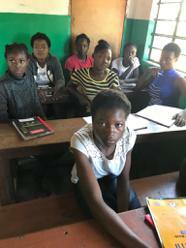 Some of the girls in the program listen to Theresa reading a book from the library. With the schools closed, we are giving our students extra English lessons. 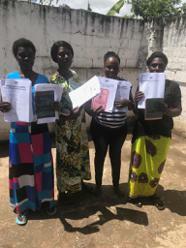 Some of the proud parents after collecting the school results from Twabo School. 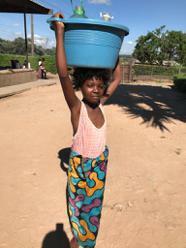 Little Nancy carrying a tub with bottles of clean water from the Living Compassion tap for her home use.